Victorian Plumbing's huge collection features a variety of magnificent shower valves in modern and contemporary styles. Browse the wide selection of shower valve ranges to find the perfect addition to your space. Shower valves offer a simple way to amplify the style of your bathroom without costly renovation. 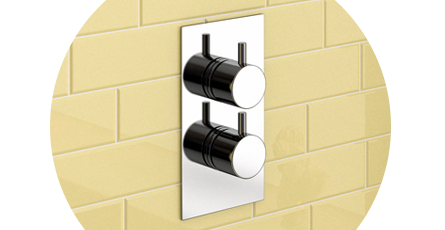 Dated, limescaled brassware can make a bathroom look tired; new valves are the ideal remedy. Many of the shower valves ranges we stock feature modern thermostatic technology. This innovative new refinement ensures shower temperature remains consist, regardless of fluctuation in flow.